TOLEDO, Ohio, November 3, 2017 – SSOE Group (www.ssoe.com), a global project delivery firm for architecture, engineering, and construction management, announced today the appointment of four new Principals, effective January 1, 2018. 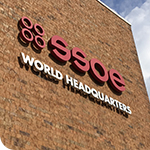 SSOE’s Board of Directors named Joe Badalamenti, Sonny Hamizadeh, Louise Schlatter, and Jeremy Woodgate as principal owners of SSOE. Joe Badalamenti, PE, PMP, is a Senior Account Executive and Project Manager for SSOE’s Food and Consumer Products (FCP) strategic business unit (SBU). 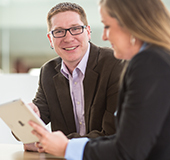 Joe joined SSOE in 2002 as business leader and office manager for the newly established Kalamazoo, Michigan office. He graduated from the Michigan Technological University in 1983 with a Bachelor of Science in Mechanical Engineering, and from the University of Dayton in 1985 with a Master of Science in Mechanical Engineering. Joe started his career in aerospace, working to develop flight control hardware for military and commercial jets developed in the late 1980’s. He moved to the industrial pump business in 1991, where he managed the nuclear products division and obtained his professional engineering license, allowing him to oversee the design, build, and sale of American Society of Mechanical Engineers stamped pumps for the nuclear power industry in the U.S. and Asia. From there, Joe moved into the consulting industry as Director of Engineering at a small A/E firm in Battle Creek, Michigan in 1996, where he led 35 engineers and designers, working primarily in the food and beverage industry until joining SSOE’s Kalamazoo office 6 years later. During his tenure at SSOE, Joe has worked in the FCP SBU leading major projects in the U.S. and China. He was promoted to Senior Account Executive 3 years ago, working to develop business with new and existing clients, while managing projects and providing process engineering insight and mentorship to SSOE engineering staff. Joe is a registered professional engineer in Ohio and Michigan. Sonny Hamizadeh, AIA, joined SSOE in February 2012 and since has served the company as Senior Account Executive and Architectural Department Manager. Starting his career at HCR ManorCare in Toledo, Ohio, Sonny has maintained his local roots and continued to give back to the community by not only being a trusted architect, but also volunteering in many community organizations such as the Joint Economic Development Zone (JEDZ), Monclova Zoning Commission, Bowling Green State University (BGSU) School of Architecture Advisory Committee, and Lambda Chi Alpha Fraternity Alumni Advisory Committee. A registered architect in the states of Ohio and Pennsylvania, Sonny has had the honor of working with clients locally and throughout the country, such as BGSU, Owens Community College, The University of Toledo, University of Michigan, The Ohio State University, and University of Alabama at Birmingham. 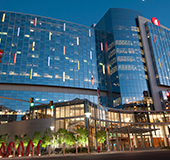 In addition, he’s worked with healthcare clients such as ProMedica, Covenant HealthCare, Mercy Health, Unison, and Henry Ford Health System. Sonny has also had the honor of working with an extensive list of local clients that includes Dana, Lucas County Commissioners, Anthony Wayne Schools, Sandusky County Commissioners, Kalahari, Directions Credit Union, and Waterford Bank. With more than 30 years of experience in project design and layout, constructability reviews, construction administration, project management, Sonny has completed hundreds of new construction and renovation projects in his career. 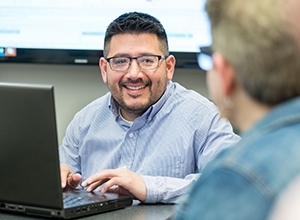 In his current role, Sonny oversees SSOE’s Healthcare, Education, and Commercial (HCE) SBU’s business development efforts and manages the architectural department, spanning staff in four states from SSOE’s headquarters in Toledo, Ohio. Sonny received his Bachelor of Fine Arts in Architectural and Environmental Design from BGSU as well as an Associate’s Degree in Architectural Design from Monterey Peninsula College in California. Louise Schlatter, NCARB, LEED AP BD+C, joined SSOE as its first female registered architect and quickly became the go-to architect for large, complex buildings and working for clients such as Honda, Ford, Toyota, General Motors, and Kellogg, as well as confidential clients in the chemical and semiconductor industries. 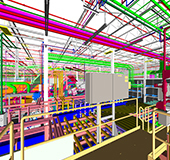 Louise was also one of the firm’s first registered professionals to learn and embrace CAD technology and provide international design services to clients. She took on the challenge of becoming SSOE’s first certified LEED® Accredited Professional (AP) and has leveraged it to help SSOE’s clients achieve a number of firsts, including Platinum certification for Volkswagen’s $1 billion automotive production facility in Chattanooga, Tennessee. In her role as Department Manager, Louise piloted the firm’s part-time and alternative work arrangement employment options with her staff. Today, as a Master Architect, Louise helps resolve project challenges, develops technical solutions, and mentors staff with her 35+ years of experience. In 2016, her efforts were recognized by the American Institute of Architects (AIA) when she was honored with AIA Ohio’s “Mentor of the Year” award. Louise received her Bachelor of Architecture and Bachelor of Science in Construction Management from the University of Cincinnati as well as a Bachelor of Science in Civil Engineering from The University of Toledo. She is a member of the Construction Specifications Institute and the AIA’s national, Ohio, and Toledo chapters. 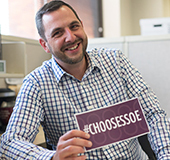 Jeremy Woodgate PE, SE, is a Division Manager for High Technology in SSOE’s Advanced Technology (AT) SBU. Jeremy joined SSOE as AT Structural Department Manager through the firm’s merger with Evergreen EDC in 2013. 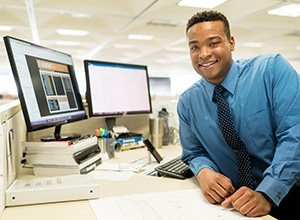 He earned his Bachelor and Master of Science in Civil Engineering from the University of Nevada and began his career with a structural consulting firm in the bay area. The firm focused on the seismic evaluation and rehabilitation of existing buildings. One early career highlight occurred after the 2001 Nisqually earthquake near Seattle, Washington. Jeremy was part of a team that performed the field and analytical evaluation of more than 30 buildings owned by the U.S. Department of Veterans Affairs that had been damaged by the earthquake. Jeremy moved from the consulting industry to a position with Intel Corporation as one of three licensed structural engineers worldwide (at the time). His responsibilities included technical oversight for the development of tool install master designer packages used across all of Intel’s fabrication facilities. Missing the challenges of the consulting world, Jeremy left Intel and joined Evergreen EDC in 2007, where he focused on projects in the solar and microelectronics business sectors. During his time with SSOE, Jeremy has worked as Structural Department Manager, Project Manager, and most recently, Division Manager.